The technical lecture entitled "Paradigm shifts in automatic speech recognition research" was held in the Glass Building of the Tokyo International Forum on Friday, June 11, at 4:00 p.m. by Dr. Sadaoki Furui, Professor of the Tokyo Institute of Technology and recipient of the 2010 IEEE James L. Flanagan Speech and Audio Processing Award. It was well attended by 92 participants. He explained the development of speech recognition research and its paradigm shifts and demonstrated state-of-the-art technology. He mentioned that current technology is never at its final evolution and concluded with an expectation towards further innovation. The 2010 Second Meeting of of Tokyo Section Executive Committee was held on Tuesday, June 22, from 3:00 p.m. at Marunouchi Center Building, Tokyo. The 2010 First Meeting of Japan Council Executive Committee was held on Monday, March 30, from 3:00 p.m. at Marunouchi Center Building, Tokyo. 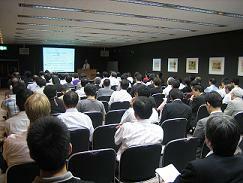 The workshop was held on June 5 (Sat), from 1:30 p.m. at Kanda Campus, Tokyo Denki University. This workshop was mainly organized by the IEEE Tokyo GOLD Affinity Group and the IEEE Japan Council Women in Engineering Affinity Group, and was co-organized by four student branches in Tokyo Denki University, Yokohama National University, Tokyo University of Science and Keio University. For details, please visit Tokyo GOLD Web Page. Region 10 Annual General Meeting 2010 was held in Cebu, Philippines from Saturday, Februrary 27 to Sunday, 28, 2010. Delegates include guests and representatives from IEEE head quarter, Region 10, Council and Sections, and total number of official attendee was 105, including 17 from Japan. 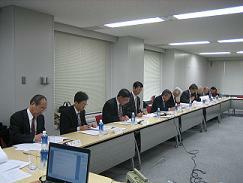 From Tokyo section and Japan Council, Executive Committee Member Makoto Hanawa and Ryuji Kohno attended the meeting.